Affordable and effective home-like addiction recovery for women in Southwest Florida. Call (855) 934-4673 -- Fort Myers, FL location. – addiction treatment centers and Christian drug abuse treatment programs. Every day Adult & Teen Challenge centers take in addicts who have previously attended several costly short-term rehabs or government-sponsored prgorams, all to no avail. They should have come to Adult & Teen Challenge first. This rehab is called a “home” because we work hard to make it a home-like atmosphere. If you are seeking a lower cost, highly effective rehab near Fort Myers, Florida, please contact us. Few women leave our Fort Meyers area program without also having left their addictions far behind, once and for all. Not many other such rehabs in Southwest Florida can make such a claim, nor such a commitment to success, which is proven by multiple outcomes studies. Our addiction recovery center is single-gender and available to women of all ethnicities. Every woman in our Christian rehab program in Southwest Florida is provided the tools, encouragement, training and mentoring needed to regroup and restart her life in a more positive direction. Getting off drugs or alcohol doesn’t happen quickly, as some rehabs contend. It can take weeks for the effects of the substances to leave the body, and only then can the life rebuilding begin. All aspects of our Fort Myers program are focused on achieving abstinence from alcohol and other drugs, and most importantly, building the foundation to support recovery for a lifetime, including spiritual recovery. Spiritually: We know that an addict’s symptoms are also indicative of deeper problems and conflicts that a new life in Christ will help them overcome. Emotionally: The healing of past history is necessary. Biblical studies also enhance mental growth and serve as a foundation for creating new lives. Physically: We care for the physical needs of our female residents. These needs – a drug-free or alcohol-free environment, food, recreation, etc – are key factors to the woman’s success in the recovery program. Socially: Women in our program learn to work through relationship problems with their peers and with their families at home. They will learn to apply the character qualities they learn in the classroom to their everyday lives. Educationally: We have developed a life training curriculum specifically designed to develop the skills required for them to become successful members of society. Comprehensive education includes subjects ranging from the related health aspects of chemical dependency, boundary setting, anger management, coping skills, relapse prevention and cognitive behavioral tools to help build a strong foundation in recovery. Why Choose Our Fort Myers Program First? Long-term residential addiction and substance abuse recovery programs like Southwest Florida Women’s Home differ from typical short-term addiction or alcohol recovery programs that you hear so much about in the news. Short-term “revolving door” programs are visited again and again by relapsed addicts, who temporarily “solve” the addiction, but they never solve the core of the problem, so the addiction comes right back again. So, the addict has to return to those rehabs over and over again, costing them, their insurance carrier, or their family tens of thousands of dollars each time. Every day, Adult & Teen Challenge centers around America enroll dozens of individuals who have previously attended 5, 10, 20 or even 30 costly short-term rehabs over many years, to no avail. They should have come to an Adult & Teen Challenge program first! So, how is Southwest Florida Women’s Center different from other rehabs? It is one of few addiction recovery programs that will dedicate a whole year to work with each resident. That is a huge financial commitment by the organization and the community, but complete recovery takes time. The day-to-day structure, community, and faith emphasis over such an extended period of time bring addicts slowly out of addiction-influenced thinking into an awareness of a purpose for their life and a new way of thinking and living. Such a new purpose and way of living is one that has no place for abusing drugs or alcohol; addiction is replaced by self-love, peace, happiness, purpose and an excitement for the future. Adult & Teen Challenge centers like Southwest Florida Women’s Home in Fort Myers also teach responsibility, work ethic and pride in work. More importantly, they instill truthfulness in each individual, which is universally lacking in addicts, and yet it is the cornerstone of all relationships. 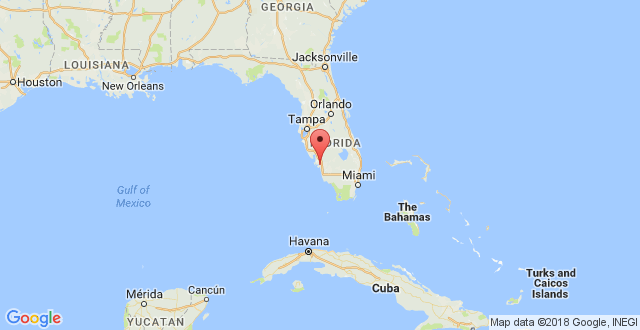 Southwest Florida Women’s Home is an affordable substance abuse recovery center, rehab for women and Christian addiction recovery center in Fort Myers, Florida, and including residents of: Cape Coral, Lehigh Acres, Fort Myers Beach, Sanibel, Punta Gorda, Bonita Springs, Port Charlotte, Naples, Naples–Marco Island, and Englewood. We can also help you in your search for other Christian drug rehabs, teen challenge programs, Christian drug addiction treatment programs, addiction treatment centers, Christian drug rehabs or best rehabs. Finding the right alcohol and drug rehab is one of the most important decisions for an addict. It is important to understand everything you can about substance abuse recovery centers and drug recovery centers. Christian rehabs usually offer separate facilities for each gender. Insurance for addiction recovery forces drug addiction rehabs to complete their addiction recovery in 90 days or less, which usually doesn't work. Adult & Teen Challenge Centers are a long-term addiction recovery program and facility that is affordable, serving men and women from Florida, Georgia, North Carolina, South Carolina, Alabama, Kentucky, Arkansas, Oklahoma, Texas, Tennessee and Virginia. Affordable and effective home-like addiction recovery for women in Southwest Florida. Call (855) 934-4673 -- Fort Myers, FL location.